I'm not normally a garden gnome person. I don't collect ceramic statuary for the garden. But I randomly found a copy of Gnomes in the library when I was a kid and something about the tiny people in their pointy red hats has just stuck with me. 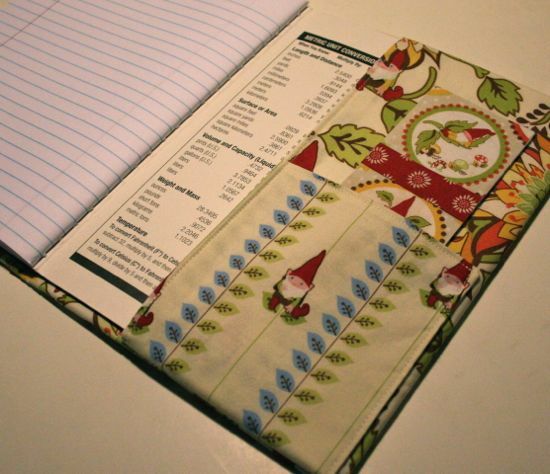 So, when In The Beginning announced a fabric collection called Better Gnomes and Gardens... well, ok, I squealed and showed pictures of the fabric designs to a long list of very patient friends. And then I bought a bit more than was seemly. Now I have gnomes and not a lot of plans for them. 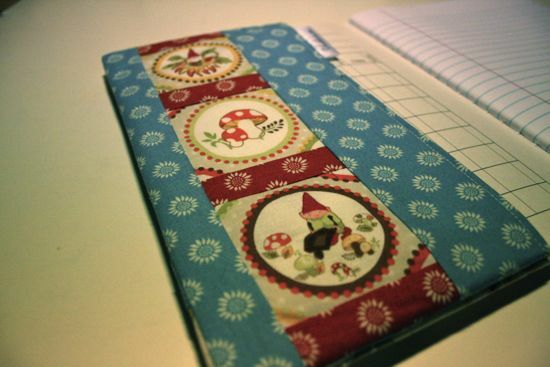 I used Rachel's journal cover tutorial as a starting point. I lined the covers for durability and added a pocket in the back. And since I'd goofed on the first attempt for the gnomes on the inside cover, I converted my goof into a bookmark and included it in the pocket. If this fabric was a bit heavier than it is, I'd make a gardening apron. It'd be pretty easily destroyed/stained beyond recognition, though, so I won't. 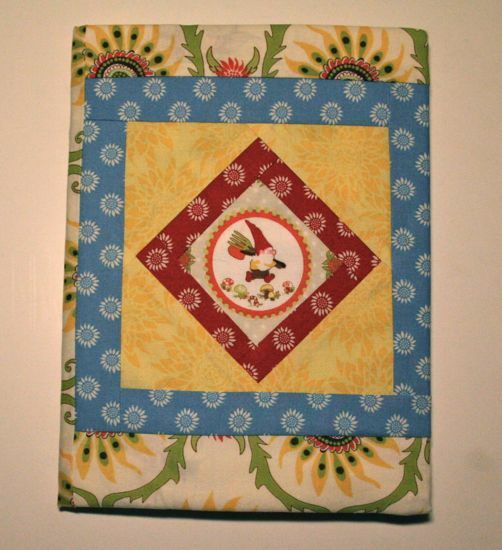 Maybe a picnic blanket with matching napkins? What does one do with an infestation of gnomes? It's Ice Cream for Breakfast Day!